When you first meet Andi Diamond (yes, that’s her real name! ), it’s like being reunited with a dear friend from your past. Her warm demeanor and big smile will instantly put you at ease, which is exactly what you want in a wedding photographer. One quality that some couples underestimate is a wedding photographer’s ability to make you feel relaxed in front of the camera. Andi’s specialty is posing; she knows the exact body angle and head tilt for that perfect portrait. Combine that with her relaxing vibe, and it only makes for an enjoyable experience for even the shyest couple. 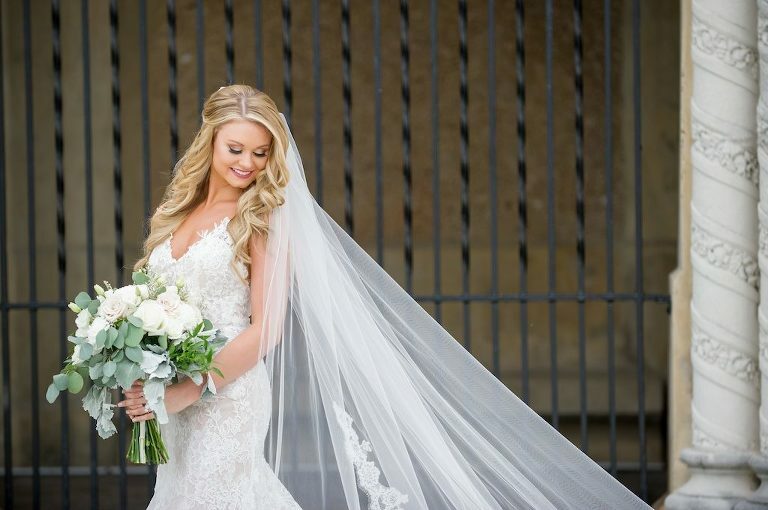 Andi Diamond Photography is a boutique style wedding studio that has been capturing weddings for almost ten years. My style is creatively coached with a bold sense of style and timeless creativity. Ever since middle school, I was always the one walking around with a camera (back in the days of film!). At my gymnastics meets, I would take pictures of the entire weekend so I could later retell the stories. After my son was born, I realized how much I missed that creative outlet, and I left my job in “corporate America” to pursue my passion. I truly get to know my couples so they feel more like I am an extension of the bridal party, rather than a vendor. Through forming these personal and close relationships, I am truly able to capture authentic moments and real emotions. Each couple is unique and different, as are their personalities. While I do love to look at fashion magazines and current wedding trends on popular websites and blogs, I find the best inspiration actually comes from the individual relationships of each of my couples. I absolutely LOVE getting to be a part of the entire wedding process with my couples. I truly enjoy helping them with the planning process, being a trusted advisor, and a sounding board for their ideas. It is an honor to get to be let in to such a special time in my couples’ lives and to get to know their families as well. And cake…I LOVE wedding cake. 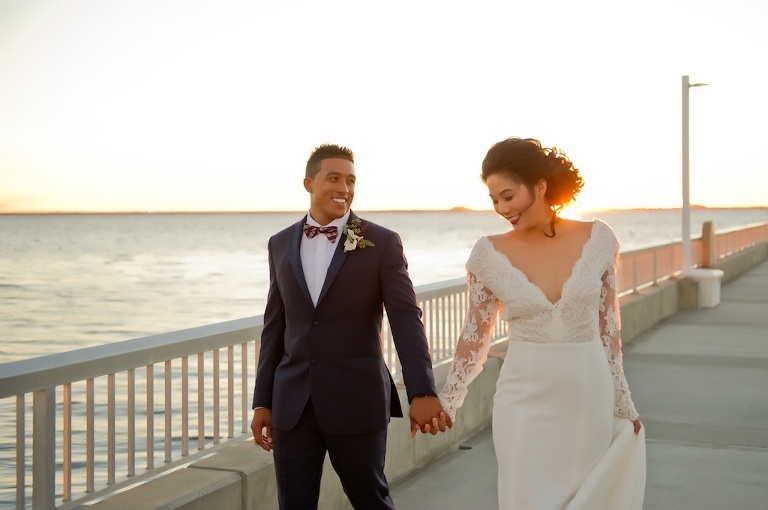 A talented and skilled wedding photographer who the couple “clicks” with (of course)….pun fully intended. 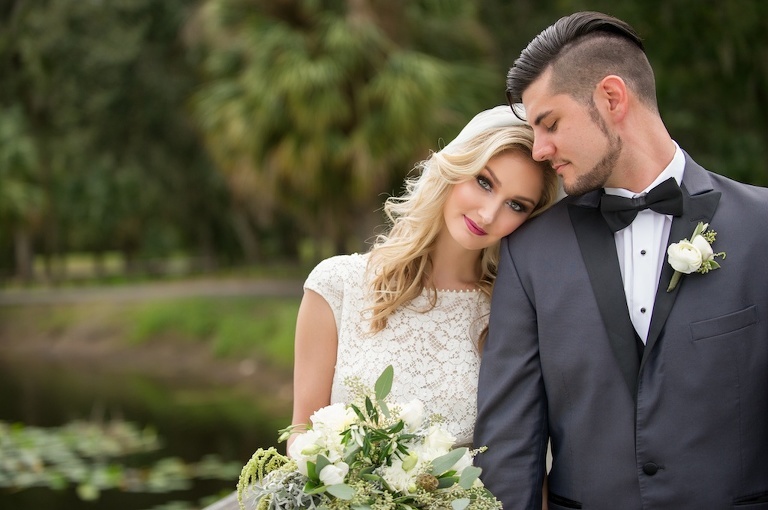 I think with the recent growth in Tampa Bay, we have a ton of new wedding venues that are truly catering to a variety of different tastes for each couple. As a wedding photographer, this gives me even more inspiration for new and creative imagery. I photographed the College National Championship in Atlanta and all of the private parties associated with the game. While my team (the University of Florida) was not in it, it was still the experience of a lifetime and I am excited to be on the team again in California! I love to travel with my family. My husband, our two kids, and I truly enjoy exploring new places and making new memories as a family. Time passes so quickly so I deeply value the special time that we spend together.